This is for all E36 bodies; this can be used for : a Track mod, cosmetic mod, or anyone who has had their Ignition Cylinder fail. 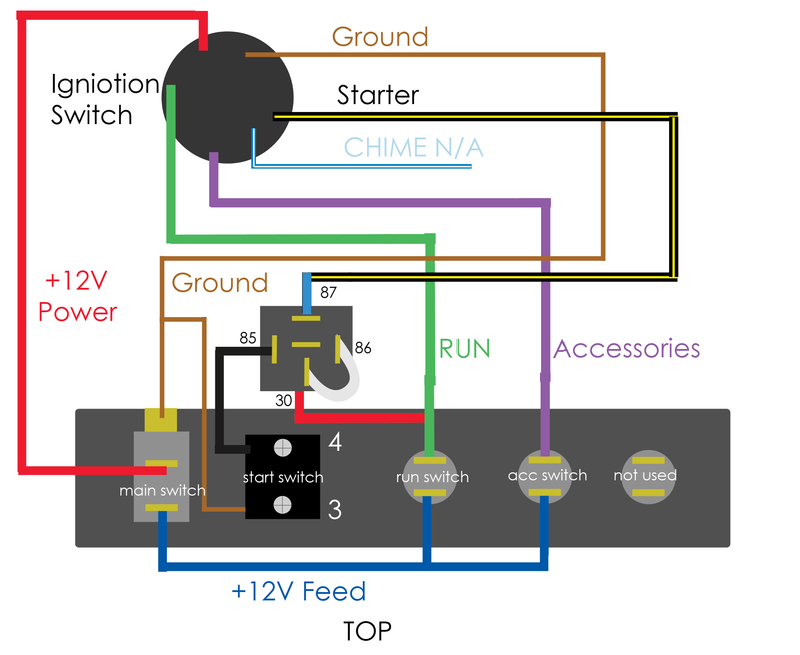 Here is a full diagram, just go by the color codes. If you buy the ebay kit the relay coming with it has a black, red, and blue wire hence the wire color changes. You can either splice the wires or cut off the ignition switch and crimp directly to the wires. If you want to retain the Chime sound the blue/ white wire must be grounded. Note: The starter wire can be either Black/ Yellow or Green/ Black. Pin 30 Red wire: constant power +12V- splice this into the same wire running to green. Pin 85 Black Wire: Ground- put in pin 4 of the push button. Pin 86 White Wire: Bridges Pins 30 and 86. 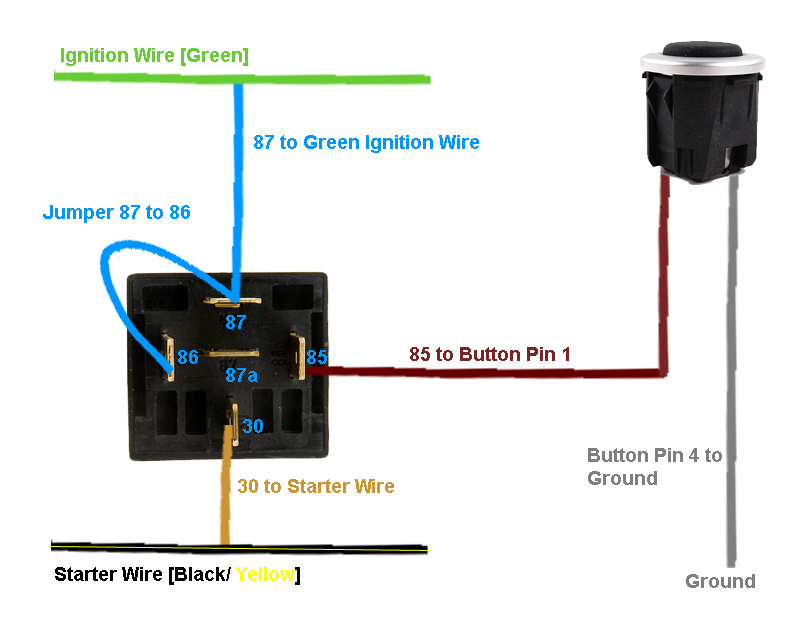 Pin 87 Blue Wire: Output- goes to Yellow/ black starter wire. The Main switch is used to power the other switches and to cut off the power to the car to shut it down. Main switch gets flipped, then Accessories, then run, then you can hit the starter switch. 96+ will need to have the key near the antenna ring or in the ignition to disable the ews. All cars will either need to put the key in and turn, drill out the spring, or turn the ignition cylinder from the back to the run position to disable the steering lock.